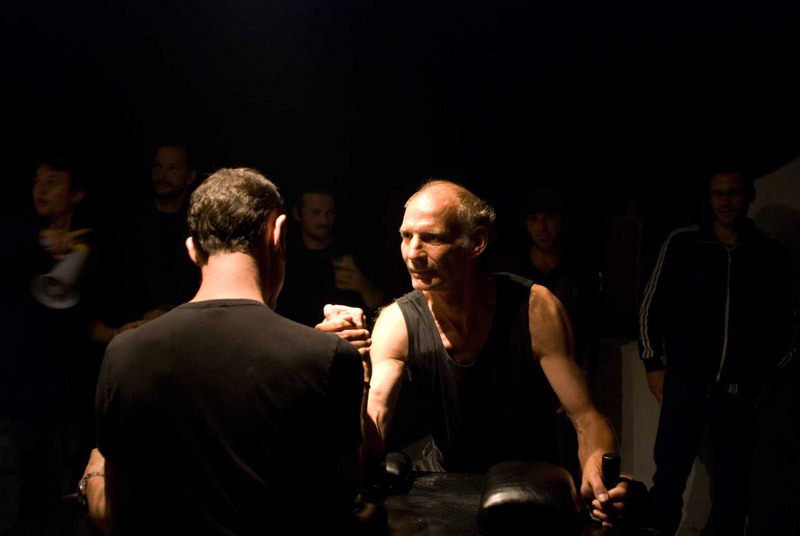 Arm-Wrestling tournament co-produced by Klat. 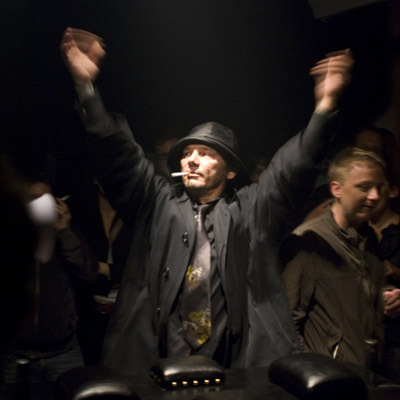 The central piece is a custom professional arm-wrestling standing bench covered in black leather and golden studs to maximize the ceremonious aspect of this tournament. The crowd, cheering and screaming is mainly composed of well-known swiss artists engaging themselves recklessly into face-to-face combats to win a few original prizes. Public performance event at Shark, Geneva 2008.